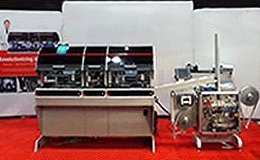 Robotic automation integrated with automatic packaging equipment for the assembly and packaging of IVD diagnostic test kits. 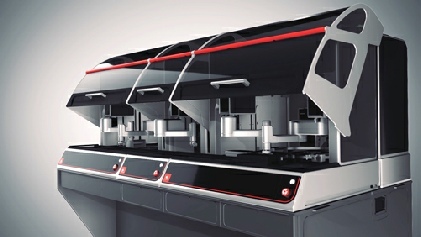 Automatic loading of precut test strips. 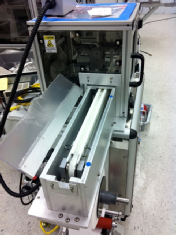 Test strips are automatically cut and loaded intro plastic cassettes. Plastic cassettes are fed from bulk. Reject stations for those kits that are detected to be missing tops or bottoms of the kit. This machine can be integrated with our vertical fill form seal machine that will make a foil pouch, automatically load the assembled plastic cassette and automatically load the desiccant.